Quickly find documents with instant searches, advanced searches, and saved searches. Full-text indexing of file content, including scanned paper files, returns instant search results. Collaborate without losing versions, and know the status of documents being worked on by others. Find the latest version, view and promote prior versions, and capture a record of every change. Stay informed with notifications and alerts that drive awareness and productivity. View and mark up nearly 200 document formats, including CAD files. Categorize documents with descriptive information to improve organization and findability. Drag-and-drop, copy-and-paste, or save directly from within familiar business applications. Convert paper to full-text searchable, digital files for paperless document management. Automated routing and approval that is customized to your specific business operations. Everyone stays informed with flexible and customizable event subscriptions and notifications. Automate tasks to schedule repetitive document management processes. Access files on the go in a Web browser for secure, remote access to information. Get files on smart phones and tablets with secure, mobile Web access. A personal access point to view tasks, participate in workflows, search globally, and run reports. Capture, identify, store, and dispose of records according to your defined records policies. An enterprise-wide solution for PDF production and publication. Quickly organize and package files for hand-off or archiving off-line. Manage and share email communications, including attachments, in a unified system. Automate the capture of all email records, including attachments, that are sent and received company-wide. Preview files and see what is inside before they are opened. Quickly categorize files with important metadata facts using a profiling tool. Set reminders on documents and files and avoid missed deadlines. Incorporate digital signatures with your system and build trust. Link related files to one another for associated management in the system. Manage groups of files, and groups of dependent or related files, together in Project Folders. Leverages SQL Server for scalable and reliable performance in deployments of all sizes. Integrate document management seamlessly with other business systems. Capture a record of changes and actions in a complete audit trail. Get usage metrics, workflow details, and other important intelligence with reports. Robust and trusted security built on the Microsoft NT security model. Automate folder structure organization and maintain folder consistency. Side-by-side comparisons of documents to see where changes have occurred. Synchronize Active Directory accounts with Document Locator. Connect document management with software and systems across the enterprise. Windows integration makes it easy and intuitive to use document management. Speed up document signing processes by sending documents for digital signature using the Document Locator DocuSign Connector. Integration with Adobe Acrobat extends your ability to manage and share PDF files. Manage drawings and project documents in a unified system for project files. Places document management right within the applications people use everyday. Replace paper with electronic forms and automate form-based processes. 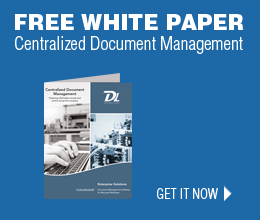 Watch our document management video series. View our document management webinars.